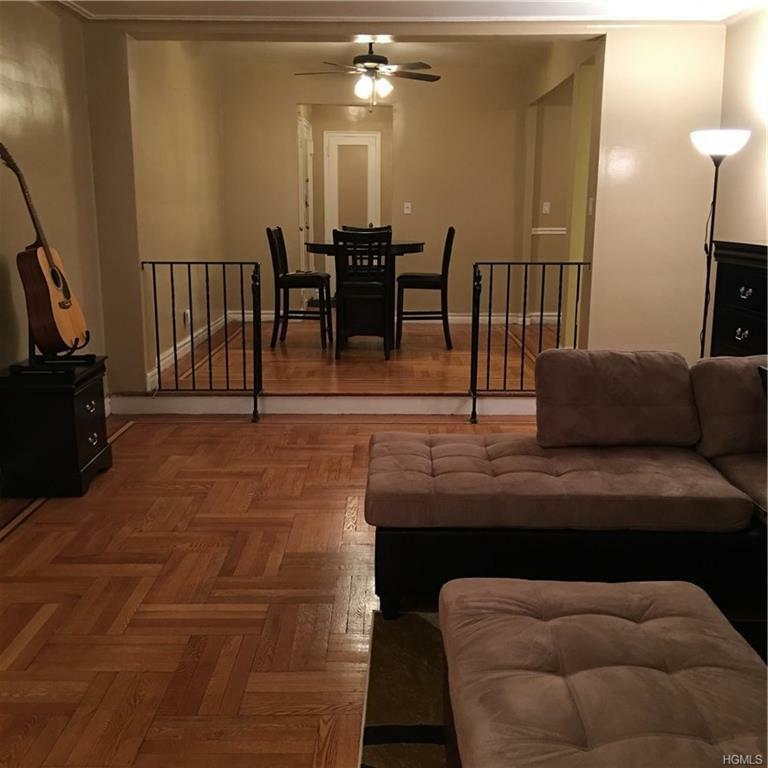 Beautiful large one bedroom apt. New walls and ceilings in three rooms, hardwood floors. Great feature of Sunken Living Room creating a charming feeling. Plenty of sunlight. Quiet building in the heart of downtown New Rochelle, 7 minute walk to Metro North great for NYC commuters. Three blocks to I-95, walking distance to Beach. Walk to all stores and restaurants and entertainment center New Roc. Must see the terrace extends onto roof with correct flooring to protect the roof. Listing courtesy of Patricia Zaffo of Keller Williams Realty Group.